Well everything sold really fast again! Thanks so much for helping me clean out my crafty room and make alittle extra dough for Christmas!! I will be listing more in just a few days! Hello friends! Well I sold out of everything in my destash video from yesterday in about an hour.....I couldn't quite keep up!! But I still have a few more to sell. I am pretty sure this is all the of the Spellbinders die I have left! I will start on the Heartfelt Creations stash I have in a few days. I made a short video showing you the dies and I will list what is in each box below. Have fun shopping!! Then I will send you an invoice and please pay upon receipt. If I haven't received payment within 24 hours then the Mystery Destash Box will be put back up for grabs. Hello friends! I have been cleaning out my stamping room like crazy and found some dies that I thought would be great to sell right now. I found some Fall/Halloween dies and some Christmas Dies from Spellbinders. So I have a short video showing you the dies and I will list what is in each box below. Have fun shopping!! Hey friends! Guess what I got in the mail the other day? Tonic Studios sent me the Tim Holtz Stamp Platform! I was so excited that I sat down and made a short video to show you how it works. I know the more I use it the more I am really going to like it and will have more tips and tricks to share! Here is a picture of the card I created. It was a very fast card....I can't wait to really get stamping!! Let me know what you think! I would love to hear your thoughts! A Fun Mixed Media Project! Hello friends! I have a fun mixed media project to share with you today. I used some of the new mixed media dies from Crafter's Companion to create this home decor project. I also made a video to show you just how easy it was to make! Here are a few more pictures!! Let me know what you think! I really love these denim flowers I created!! Hello friends! 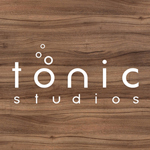 I recently received some of the coolest dies from Tonic Studios. They are really unique because they have a matching stencil that you can use on the die cut to add even more dimension. The line is called Double Detail. I used the Floral Faerie Double Detail die along with the Floral Faerie Double Detail Stencil to create this card. I also made a short video tutorial to show you how I used these great products! I love the different looks you can get with this range of dies with matching stencils. What do you think? Hello Friends! Woo Hoo! It's Friday! Now it's time for a fun crafty weekend, right? Well I hope you have a fun weekend even if it's not crafty. But if you do have some time this weekend, I have a fun video tutorial to share with you. In this video, I show you how to create some beautiful paper flowers to use in a home decor project or wedding centerpiece. Yep, you read that correctly. My oldest daughter is getting married next June so now it's time for me to really get crafty with the wonderful stamps, dies and paper I have in my crafty room! Using the Blazing Poppy and Enchanted Mum Collections from Heartfelt Creations, I created some paper flowers that I think will look great as part of our centerpieces for the wedding reception. I had a great time creating these flowers! I hope you will give them a try. If you have any wedding flower ideas, just leave me a comment. I would love to see any projects you have created for a wedding or other party!! Thanks for stopping by today!